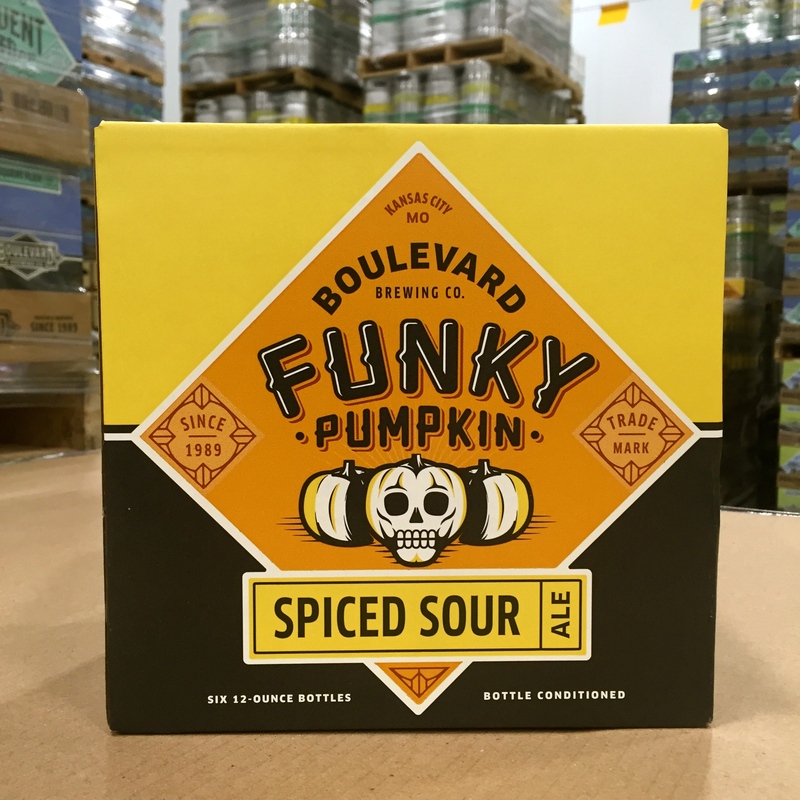 2015 saw the first-ever pumpkin beer from Boulevard Brewing Company in Funky Pumpkin. Never content with brewing "to style," our brewing team created a brewhouse soured ale that focused on traditional pumpkin pie spices with pumpkin flavor taking a bit of a backseat. Inspired by that process and the positive feedback, the brewers immediately began planning a "pumpkin beer for beer geeks." Using Funky Pumpkin as a jumping off point, we're excited to introduce Funkier Pumpkin! Pouring a glowing orange/copper color, Funkier Pumpkin leaps from the glass with a rich, pumpkin spice aroma punctuated by funky, forest floor notes from the brettanomyces, a wild yeast strain known for imparting unique flavors and aromas. With an effervescent mouthfeel thanks to spritzy carbonation, the flavor of Funkier Pumpkin features a balanced array of pumpkin pie spices including nutmeg, cinnamon, ginger and allspice. No single spice dominates before giving way to a slight pumpkin flavor that transitions into pleasant, refreshing tartness; a slight warming finish from the cinnamon and ABV and a touch of toasty, toffee-like sweetness from caramel malt. Funkier Pumpkin will be available exclusively in 750 mL bottles. Spiced with nutmeg, cinnamon, allspice and ginger, Funky Pumpkin, like Funkier Pumpkin, is brewed using a process referred to as brewhouse souring. Tart and slightly earthy, Funky Pumpkin features a subtle toffee/caramel malt character that allows pumpkin pie spices to shine against a soft acidity. 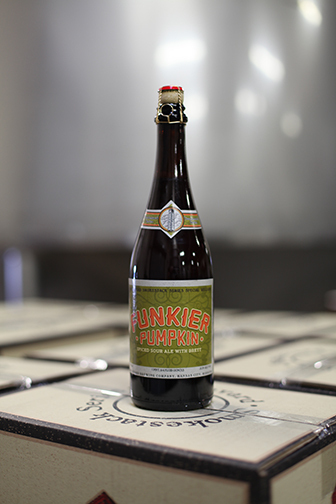 Funky Pumpkin will be available in six-packs of 12 ounce bottles and on draft. Deliveries of kegs of Funky Pumpkin will begin in the Greater Kansas City Area on Monday, August 8th. Deliveries of bottles of Funky Pumpkin and Funkier Pumpkin will begin in the Greater Kansas City Area on Tuesday, August 9th. Other cities that normally see our seasonal and limited release beers should expect to see Funky Pumpkin and Funkier Pumpkin in the coming weeks. Please note that we do not have access to our distributors' delivery schedules and will be unable to confirm when these beers are available near you.